Sprawling, sturdy, ranch-style construction, elevated to a modernized ideal on a huge plot of land. 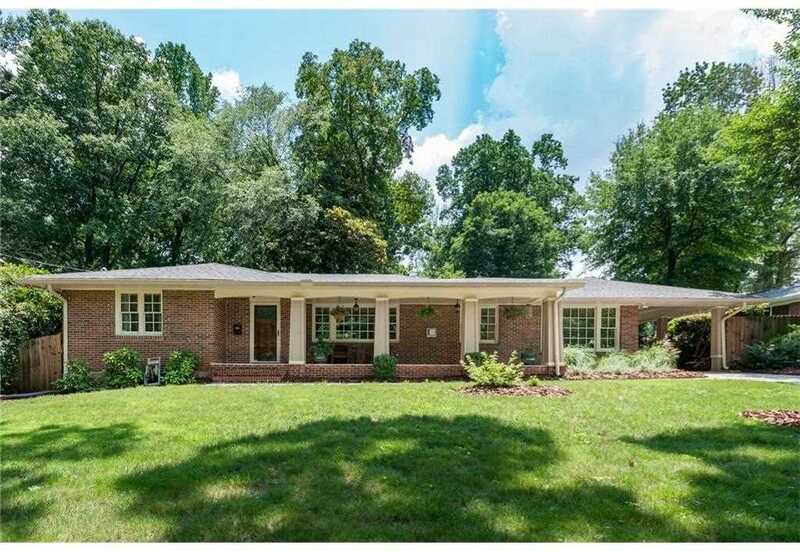 A budding or established family is going to find a great deal of growable charm in this 4 bed 2.5 bath mid-century masterpiece that's close enough to Atlanta for commerce, and close enough to Decatur for playtime. Inside & outside, warm overtures make this an amazing venue for easygoing Saturday afternoons, as well as the occasional shindig. Plus a finished basement that's perfectly sized for a variety of purposes. Homes of this caliber go fast - call your agent today. SchoolsClick map icons below to view information for schools near 2185 W Ponce De Leon Ave Decatur, GA 30030.